With the tragedy in Christchurch, New Zealand’s international summer has come to an abrupt and appropriate end. There will be no cricket-lover in New Zealand whose thoughts are not with the Bangladesh side, as they are with the country’s Muslim community and the people of Christchurch. Frankly, the cricket season seems very inconsequential right now. Canterbury’s decision not to contest the final round of the Plunket Shield, conceding a mathematical possibility of taking the trophy, is both understandable and commendable. When time does allow thoughts to return to our game though, it will be to assess a particularly interesting summer, but ultimately one that perhaps ends with as many similar questions as when it started. The Black Caps’ Test match performance has been superb, and rarely can the New Zealand side have had such a settled look about it. They certainly have never had a top five who have scored so heavily and so consistently. For the first time in one season three different batsmen scored double-centuries, and then there was the remarkable consistency of Henry Nicholls and Jeet Raval’s breakthrough hundred to celebrate. If there is a question mark, it sits over the slow bowling. Particularly in home conditions the selectors don’t seem to have decided just who is the top test-match spinner. On the field, the slow bowling option has seemed one the team has sometimes been reluctant to employ and this is disappointing after the optimism engendered by the performances of Ajaz Patel and Will Somerville in the UAE. That leads to a question over the pitches we’re preparing for Test match cricket in New Zealand. Are they simply too good that they take away from the contest? 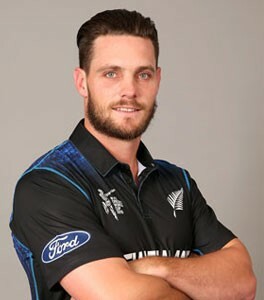 They have proved superb batting surfaces, but are they serving to neutralise too often the swing and seam of Boult, Southee and de Grandhomme, and make the spinner no more than a holding option. And are they providing the sort of preparation the batsmen will need in less friendly conditions overseas. In reviewing the season, mention must also be made of BJ Watling’s feat in passing Adam Parore’s record of most catches for New Zealand. Recognition should go to those who turned Watling from a fledgling opening batman to a Test wicket-keeper back in the 2011/12 summer – he had previously kept wicket in only five first class matches, and not for some five years. What an outstanding contributor he has become – one of the most under-rated all-rounders in world cricket. The cancellation of the remainder of the Australian Under-19 Women’s tour closes out the women’s international season as well, after the New Zealand Development XI had won the first two matches in their series. Congratulations to Hearts players Lauren Down and Saachi Shahri on their 135 run opening partnership in the first match, and to Lauren Down who passed 80 again in the second match before Skye Bowden hit the second ball she received for six to secure victory with two balls to spare. The state of women’s cricket is a concern, with another disappointing series in Australia following a mixed performance at home against India. The gap between the top half dozen players and the rest has not yet been bridged, and in the meantime the gap between New Zealand and some of its opponents seems to be growing. The challenge is how to build on the progress made this season with exposure and in the quality and competitiveness of the domestic contests to move the game forward so New Zealand can remain in the top echelon of the international game. Disappointment for the Hearts as they missed out the Hallyburton Johnstone Final surrendering the trophy to the Central Hinds. The Hearts lost only three games all season, but all three were amongst the last four games they played. 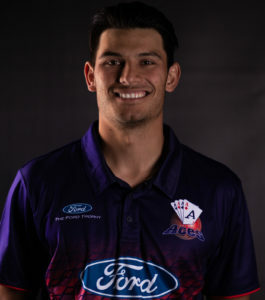 In spite of Glenn Phillips’ form with the bat, the Aces will also fall short in the Plunket Shield, with the Central Stags capping off an impressive summer. The Shield will sit alongside the Burger King Super Smash title in the Stags’ trophy cabinet. 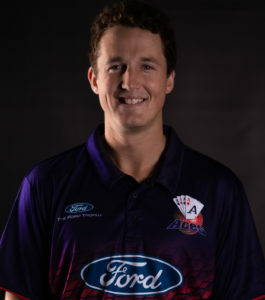 With one match to play, Phillips’ place as the only Aucklander amongst the top ten run-scorers suggests the opportunity for a more consistent performance from the Auckland batsmen in 2019-20. Meanwhile Colin Munro has had a tough run as one of a handful of New Zealanders playing in the Pakistan Super League. He has scored just 95 runs in eight innings for the Karachi Kings. Neither Corey Anderson nor Anton Devcich have distinguished themselves either, leaving the veteran Luke Ronchi as the stand-out Kiwi performer, scoring 319 runs with three half-centuries for Islamabad United, who were knocked out of Final contention in the second eliminator. Finally this week, congratulations to Auckland Cricket archivist Jim Allnatt who on Friday released his latest book ‘Women in Cricket 1928-1978. The Auckland and North Shore Story.” Like Jim’s earlier works covering the Men’s game in Auckland up to 1945 and his account of the Howick Pakuranga Cricket Club, this is a valuable record of an important and little-known part of Auckland’s cricket history. What a privilege to enjoy the launch event in the company of so many of Auckland’s and New Zealand’s most distinguished cricketing women.